We are pleased to welcome previous Service Management speaker and member of the ITSMF Awards Alumni Ian Jones to the blog today! I previously led an IT Service Management team providing Incident, Problem, Change and Configuration Management services in line with ITIL. Our work was highly variable and ranged in complexity since we primarily supported other IT professionals in their IT operations. The whole team used Agile Scrum to manage our work and the problem analysts used Lean Kanban for (ITIL) Problem Management. This blog post will outline how Kanban was applied to effectively deliver our Problem Management service. Our organisation used Agile as the main delivery method for projects, and Lean (based on the Toyota Production System) for operations. Bell and Ozen (2011, p8) suggest Lean aims to empower teams to simplify, then when appropriate, automate routine tasks. Process improvement frees up capacity, providing individuals with more time and better information to exercise problem solving, creativity and innovation in situations that are not routine. Kanban suggests that staff ‘pull’ work from left (first column) to right (last column). If staff have capacity (actual work in column X < work in progress limit in column X) then they pull work from the previous work step (column on the immediate left). This video provides a visual explanation. Work in Progress limits were informally used and not strictly enforced. If an analyst had too many investigations in a particular column, we used it as a flag for assistance and potentially management escalation rather than a reason to block the incoming work. Upon these events, we preferred to negotiate with stakeholders (service owners, management) on work priorities rather than block the work. So as you can see, the team took the concept of Kanban and tailored it in a way that supported them, which should not be surprising since problem investigations, by their nature, are not generally standard or repeatable forms of work. One significant benefit we saw in adopting Kanban was that it supports Principle 5 of the Toyota way: ‘Building a culture of stopping to fix problems, to get quality right the first time’ (Liker, 2004, p.38). The visual management of our work and conducting daily stand-ups allowed the analysts to easily identify defects or weaknesses in their investigations, pause work and jointly derive immediate improvements to their service. This has led to significant quality improvements in their work which was acknowledged by our customers and management. Bell, S., and Orzen, M. (2011). Lean IT, New York: CRC Press. De Haaff, B. (2013) Kanban the secret engineer killer. Retrieved July 30, 2013 from http://blog.aha.io/index.php/kanban-the-secret-engineer-killer/. Liker, J. (2004). The Toyota Way, New York: McGraw-Hill. This blog was originally published on Ian Jones’ blog. 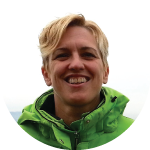 From working with Sony Ericsson’s global enterprise website in Amsterdam and Copenhagen to being one of NZ’s leading Agile coaches and Chair of Agile Welly , Sandy Mamoli brings her practical European flair and passionate advocacy of all things Agile to NZ businesses. She’s a former Olympian, a geek, a gadget junkie and emerging triathlete. Sandy is one of the owners and co-founders of Nomad8. You know your way around a Kanban board. How would you explain the concept to a beginner? Kanban is a way of managing your list of things to do. In a clear and visual way you can see what’s important and urgent, as well as what you’ve achieved and what’s coming up. It’s tactile – moving sticky notes from one column to the next is immensely satisfying. And it’s universal – from school kids managing their homework schedule to developers planning their tasks and stories, it works. Has your use of Kanban changed the way you approach things outside of the workplace? If so how? I admit that I use my Kanbanfor1 board for almost everything now. It gives me a really clear sense of what’s on my plate both in and out of work. I feel a lot more in control of my ‘things to do’ which actually gives me more freedom to enjoy my non-busy time. My partner and I even share a board when we’re planning together – like a holiday, or moving house. If you could express the essence of Kanban in one word, what would it be and why? One word – that’s hard! I want to say ‘simplicity’ but there’s also ‘productivity’ and a certain amount of ‘zen’. The best word though may well be ‘flow’. Tasks and work and projects flow through your life. Kanban helps to manage that flow. The board lets you visualise the flow. You’re a former Olympian and no stranger to achievement! Tell us a bit about the qualities one needs to think like an Olympian in their work. Focus, ambition, collaboration. An Olympic athlete is no stranger to these things. Hours and weeks and months and years of hard, consistent training. Laser sharp focus on the task at hand. A shared team goal and purpose. Big dreams and the courage to follow through. There is no time for slackers, but there is much learning from failure. I think I’m a lot less intense now than in those days, but I still work hard and love a good massage! 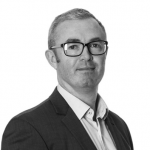 Sandy will be leading a workshop on Kanbanfor1 at Service Management 2015.